We first got a taste of newcomer Mickey Keating’s (Ritual) latest indie thriller Pod just before its premiere at this year’s SXSW Film Festival, and now that it’s nearing its theatrical release, we have an all new, wonderfully chilling trailer that teases some otherworldly terrors. 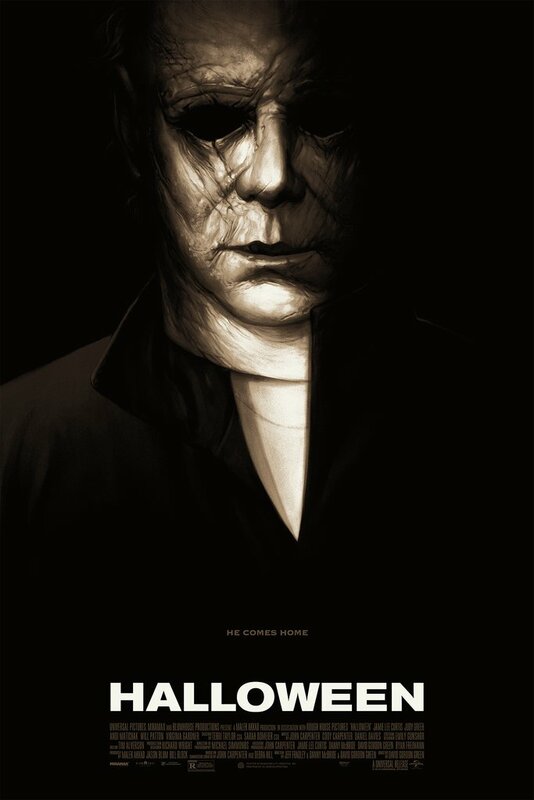 It’s really a fantastic trailer (and poster!) and it’s one that hints at a very calculated, simmering narrative wrapped in mystery and psychological scares. What’s behind the door, and what exactly did this guy find in the woods? We shall see and sooner than you may think! Somehow, Pod snuck up on the horror community, only just announcing its August 28th release date in limited theaters as well as VOD. 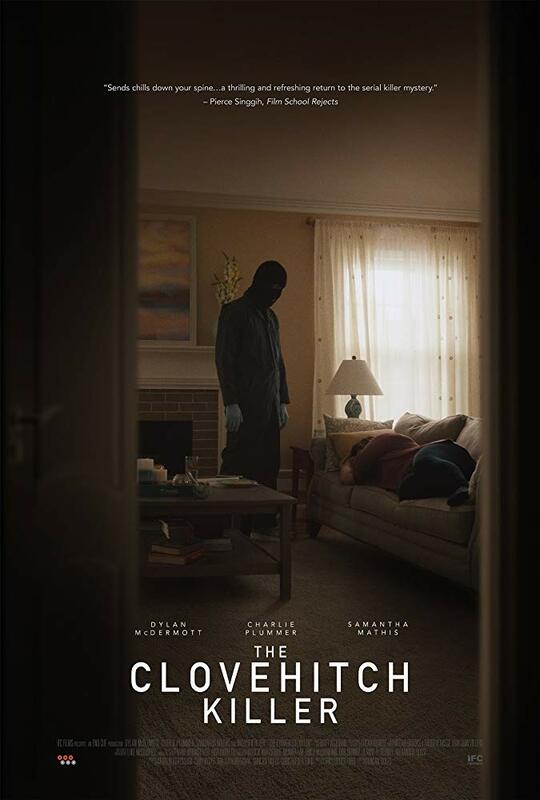 After receiving a troubling voicemail, estranged siblings Ed and Lyla travel to their isolated family lake house in Maine to hold an intervention on their increasingly paranoid, war veteran brother, Martin. But the situation rapidly spirals out of control when they discover the house completely ransacked and learn that Martin has constructed an elaborate and horrifying conspiracy theory surrounding a sinister entity that he believes he has trapped in the basement. 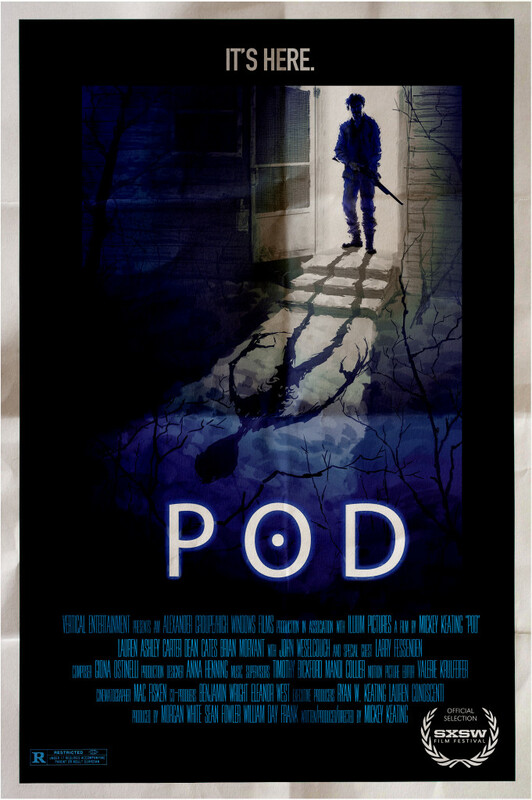 Pod was written and directed by Keating, it stars Lauren Ashley Carter, Dean Cates, Larry Fessenden, Brian Morvant, and John Weselcouch. Ooohhh, never heard of this but it looks neat! Yeah it looks great! Been hearing some positive buzz around it, too, so that’s good! Whoa! This looks like it expertly plays on a person’s primal fear of the woods, as well as putting sibling trust to the test. I like the retro look of it, e.g. the technology, the older vehicles – it seems to enhance the desperation of the situation (as in, no cell phones to call for help). Good call! It looks great and some of the early reviews have been pretty positive, so I can’t wait to get my hands on this one.